I never really believed that old saying that a broken mirror brings you seven years of bad luck. In fact, I believe just the opposite. 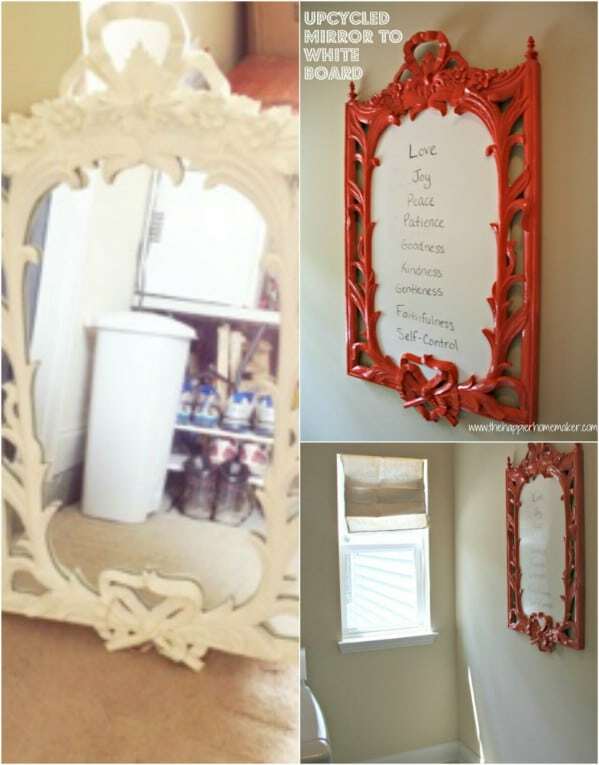 If you have a broken mirror, you are lucky enough to have an upcycle DIY project just waiting for you. I’ve seen my fair share of broken mirrors – and other things – over the years and love nothing more than to put these items to good use with a great upcycle project. 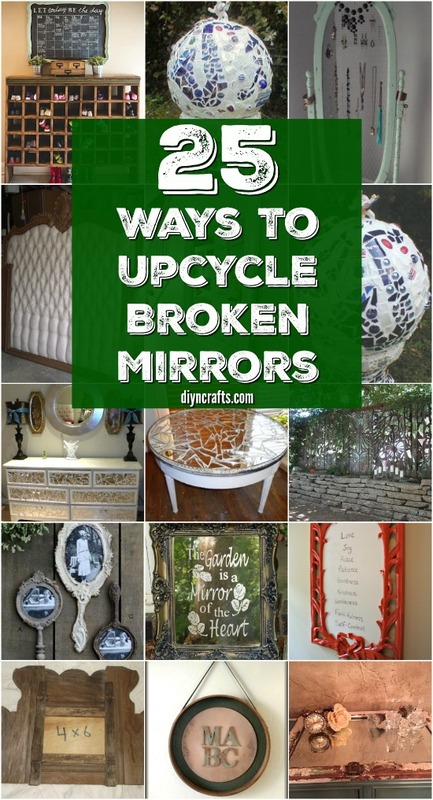 To that end, I’ve looked and found 20 brilliant ways that you can turn those mirrors into something amazing – trash to treasure! If you have an old mirror that you just can’t bear to part with, these projects are perfect. Some of them give you great ideas for using those mirror frames to create new and exciting things like a message board for your family or even a beautiful picture frame. Other projects use the actual mirror part of the broken mirror to make gazing balls and beautiful tabletops. See, there really is nothing that you can’t upcycle! You can turn any kind of trash into treasure, just look at these 25 gorgeous ways to repurpose old teacups. I am forever looking for ways to avoid having to throw things out. From broken mirrors and other furniture to outright trash – or things that you might consider trash – there is always an upcycle project just waiting to be done. That’s why I love these 20 mirror projects. If you thought that you would have to toss out that old mirror, well think again. I’ve found some wonderful ways that you can repurpose it and it doesn’t matter if the mirror is actually broken or just something that you don’t use any longer (or something that you found for a steal at a thrift store) you can repurpose that mirror into an amazing creation, just like these 40 repurposing projects for old windows. So grab that mirror and let’s see what we can make with it. I think you’ll be happily surprised at some of the projects on this list. I know I am – and I hope you’ll share which of the projects is your favorite. Turn that mirror frame into a great white board. If the glass is broken or you just have an old mirror that you aren’t using any longer, this is a great way to upcycle it. Just cut a foam white board to size and attach it to your mirror frame. This is a great message board to use with dry erase markers. You can turn it into a shopping list board or anything you need. I love this idea of using the broken glass from a mirror and turning into a beautiful medallion mirror. You can often find ceiling medallions at thrift stores – Goodwill Stores normally have tons of these types of things. Just (carefully) take that broken mirror and put it in the center of the ceiling medallion to create a stunning medallion mirror that is perfect for the hall or living room. If your mirror – or several mirrors – is shattered, what better way to put those broken pieces to good use than to turn your ordinary fence into a work of art? This mosaic mirror fence is by far one of the most creative things I’ve ever seen and it’s not nearly as difficult to make it as you may think. Even if you don’t have enough mirror pieces, you can buy old cracked or otherwise broken mirrors at thrift stores for nearly nothing and create this beautiful backyard art with the pieces. 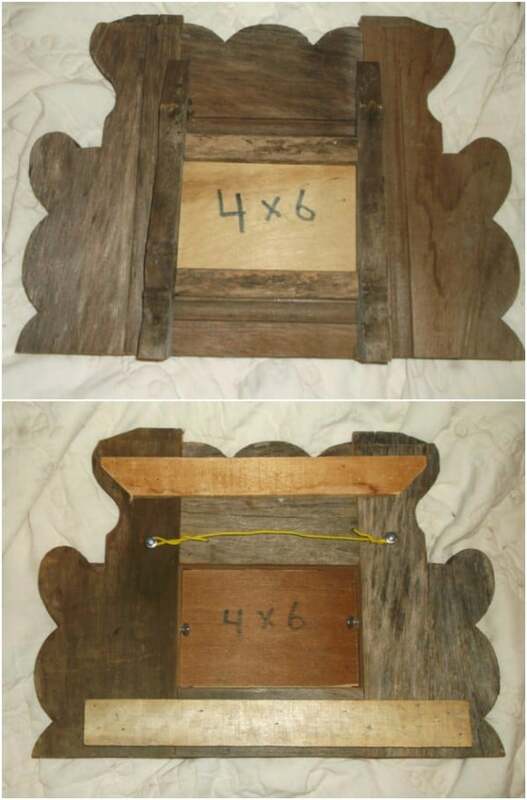 You can turn an old dresser mirror or any old mirror really, into a beautiful new rustic picture frame. Instead of throwing it out, why not make it something amazing? If you don’t want to do the work yourself, or you just don’t happen to have an old dresser mirror on hand, you can find a custom frame created from an old mirror on Etsy. This one is just $15 and it’s absolutely gorgeous –and has such a wonderful rustic farmhouse look. I love chalkboard projects. Honestly, anything I can make a chalkboard out of is great in my book, which means I really adore this mirror that has been upcycled into a chalkboard. This would be great for keeping up with busy schedules and it’s a really easy chalkboard calendar to make. 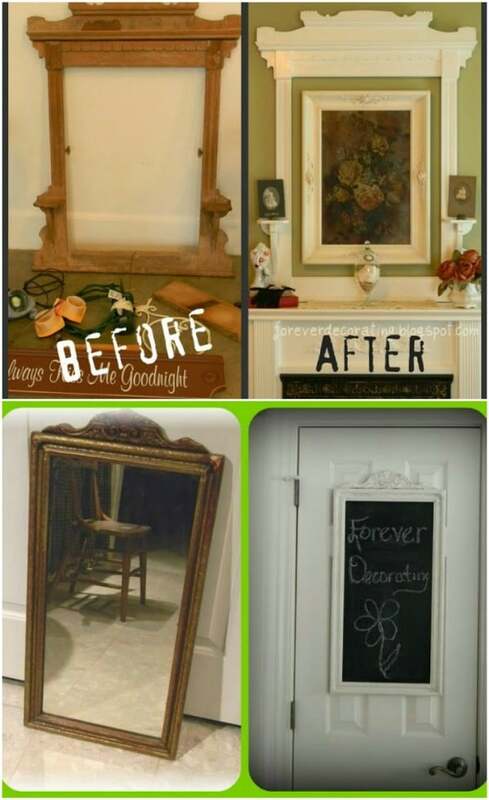 Just remove the glass from an old mirror – or if the mirror glass is intact, you can just paint over it with chalkboard paint and then paint on your calendar. How great is this huge jewelry stand? I mean, this would hold all of the jewelry you could ever imagine owning. It’s actually an old stand up mirror base that you just turn into a jewelry holder by removing the mirror and adding some chicken wire – or something similar. I love the thought of painting and then distressing it, too to give it that great farmhouse rustic look. This old dresser mirror turned family communication center is wonderful. I love finding old furniture – broken old furniture even – at yard sales and thrift stores. You just never know what you can make with them. 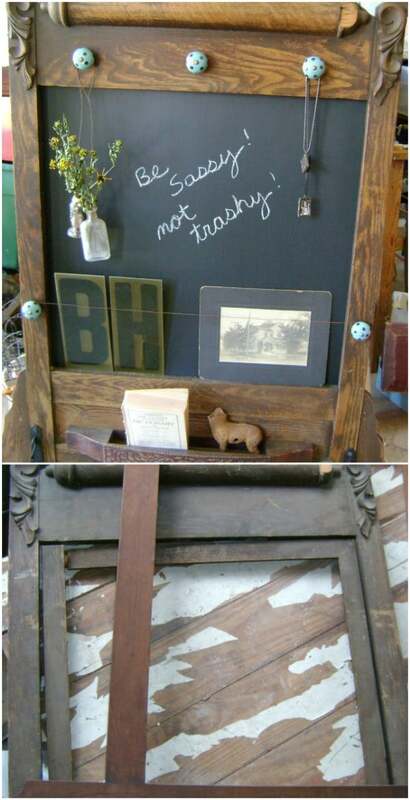 This old dresser mirror had lost its glass but was upcycled into a wonderful message center complete with a chalkboard, knobs for holding keys and things, and even some small compartments for catching mail and other papers. 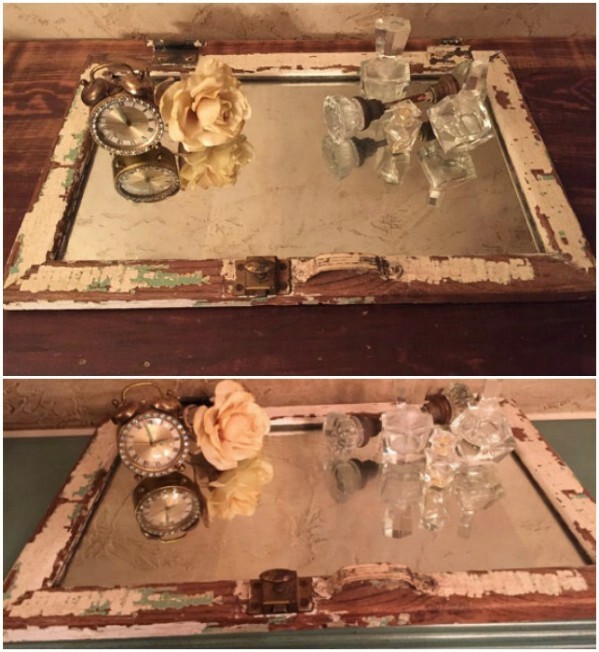 Here is another wonderful way to turn old mirrors into beautiful picture frames. 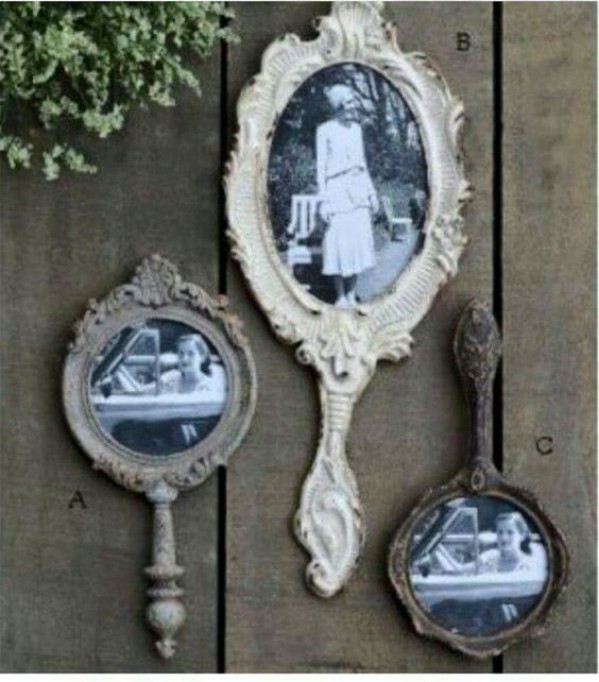 Just remove the glass and turn those antique hand mirrors into individual photo frames that you can hang on the wall. This is a great idea if you have a handed down mirror from a grandmother that has lost the glass. Add a picture of your grandmother and hang that mirror where you can appreciate its beauty every day. You can even repurpose those old mirrors from medicine cabinets! I love this vanity tray that was made from an old medicine cabinet door with mirror. It’s rustic and just absolutely beautiful. I found this jewel on Etsy for just under $100, in case you don’t want to do the project yourself. You can easily recreate the look if you prefer the DIY way – just find an old medicine cabinet mirrored door, paint and distress it and then add handles – or leave off the handles; it’s all up to you. If your mirror isn’t broken, you can use it to create this beautiful piece of garden art. You just have to choose the message that you want to display and then display it on your mirror. Of course, you’ll want to prep the mirror first by painting or maybe staining it – or distressing it if you like the rustic look. Then add your message and hang your new garden art outside in the garden.
. You get the idea, right? Hang the frame and then center another picture inside it. This is such an elegant and beautiful look and would be perfect for showing off family pictures. I love those beautiful little gazing balls that you see in everyone’s garden, don’t you? If you do and you don’t have one of your own, you can make one easily with the glass from a broken mirror. You’ll need a bowling ball – which you can probably pick up at a yard sale or thrift store pretty cheap – and then pieces of your broken mirror. The process takes a bit since you have to glue on the broken pieces and then grout around them, but it is definitely worth it to have this gorgeous gazing ball in your backyard. 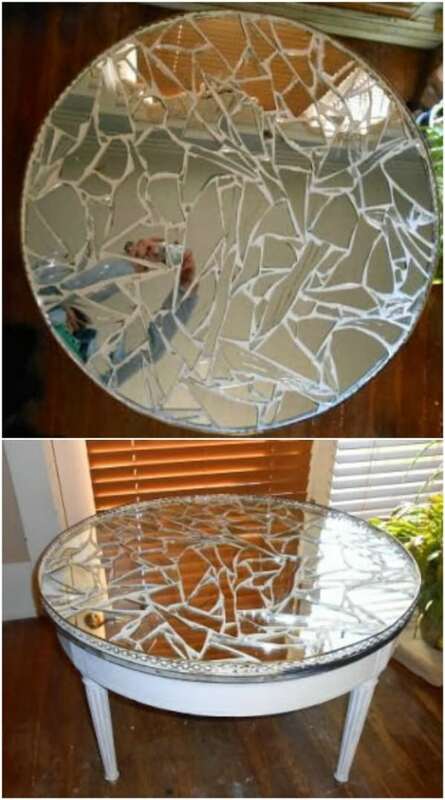 Use those broken pieces of mirror to create a very unique and very lovely tabletop. You’ll need an old table, which you can get at a flea market if you don’t have one on hand to use and pieces of glass from your mirror. I love the look of this one and although it may take a while to get all the pieces in place, it will definitely be worth it when you see the end result. Those ornate mirrors are perfect for housing old world maps. This is such a beautiful display and seems relatively easy to do. If you have an old ornate mirror – particularly a round or oval one – just copy off an old world map of anywhere in the world you want to see and then use Mod Podge to stick it to the backing of the mirror. Turn those broken mirror pieces into a great modern dresser design. You just add the pieces of mirror to the front of your dresser drawers. Note – you’ll need quite a few mirrored pieces to cover several drawers so you may need to buy a few additional mirrors and break them as well. Mod Podge works great to hold those mirrored pieces in place and the overall look is fabulous. That unused or broken mirror can easily be turned into this gorgeous magnet board for holding messages, pictures, or anything you need to keep in clear sight. Sheet metal makes the base for the magnets and you just attach it to your glass-less mirror frame and then decorate however you want. I really love the idea of turning a broken mirror into personalized wall art. This is a really easy project and makes such a wonderful statement. You can use initials, pictures, or just about anything really to personalize the art – you just have to start with an old mirror frame that you don’t need. this would also be a wonderful gift for an upcoming wedding or anniversary – especially for people who are difficult to buy for because they seem to have everything. If you have an old dresser mirror that is broken or that you don’t need and you need a headboard, this project is for you. You can turn that old mirror base into a beautiful padded headboard that will fit perfectly over a twin or full bed – depending of course on the size of the mirror. If you have a really large mirror, you may get a headboard that will fit your queen sized bed. Turn that mirror into beautiful wall art. 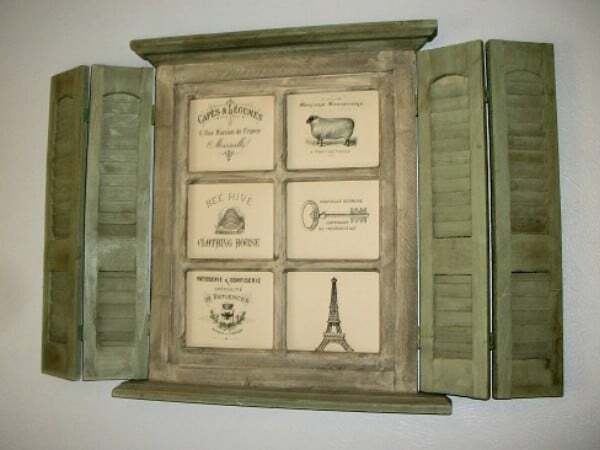 I love the French country theme but you could use any theme that suits your personality or your décor. You can do this with any mirror – although this dresser mirror with “shutters” really does look beautiful. Just choose your theme, repaint or distress your mirror and then add the images that you want. I think this would also look great with a mural – it would look like you’re looking out your window at the scenery that you want to see. 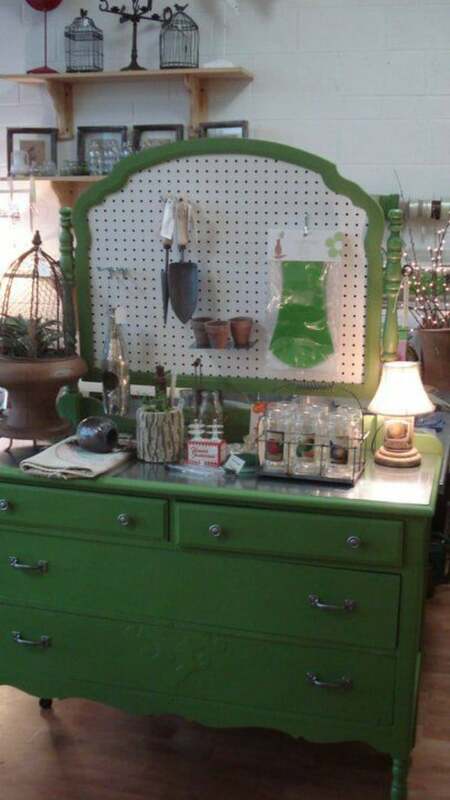 For this one, you could actually use an entire dresser and then turn the mirror section into a pegboard. If you only have a mirror to use however, you can still turn it into a pegboard and just hang it on the wall. Pegboards really aren’t expensive and you just have to cut it to size and add it to the mirror frame. This would be great for the garden, the craft room, or even a kids’ room for holding all sorts of toys and other things.